Opera Holland Park Chorus, City of London Sinfonia / Matthew Kofi Waldren. Opera Holland Park, London, England. Thursday, June 1st, 2017. Every summer, a tent theatre is constructed around the façade of Holland House in Holland Park, west London. Seeing a show at Opera Holland Park is a unique experience. The opera is often accompanied by the sounds of peacocks, children playing or overhead planes on final approach to Heathrow. 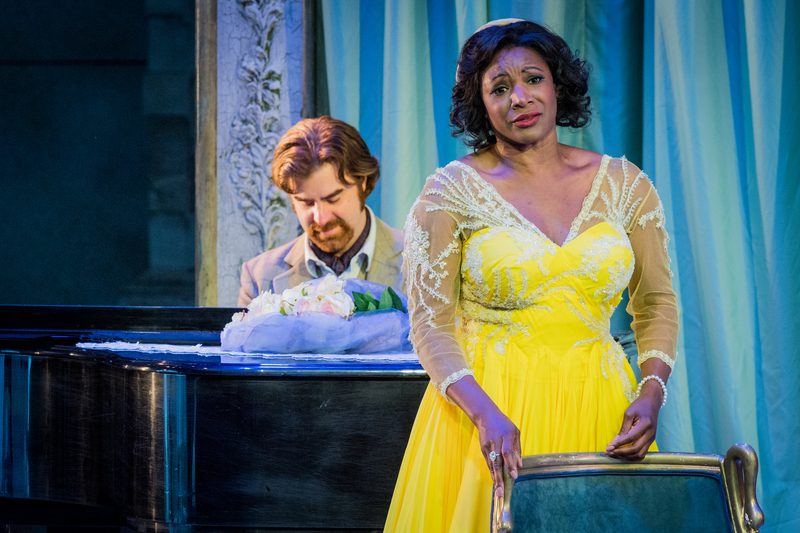 And yet, the theatre most certainly punches above its weight with judicious casting with stalwarts from the UK’s regional theatres, recently-graduated singers and some international visitors. Their reduced price tickets for youth, seniors and police, fire and healthcare workers is testament to the house’s social responsibility. It’s certainly an agreeable place to see a show. One of the notable aspects of the theatre is the wide but somewhat shallow stage with no fly tower. Consequently, directors do need to be quite innovative in the way that they use sets and the stage area. 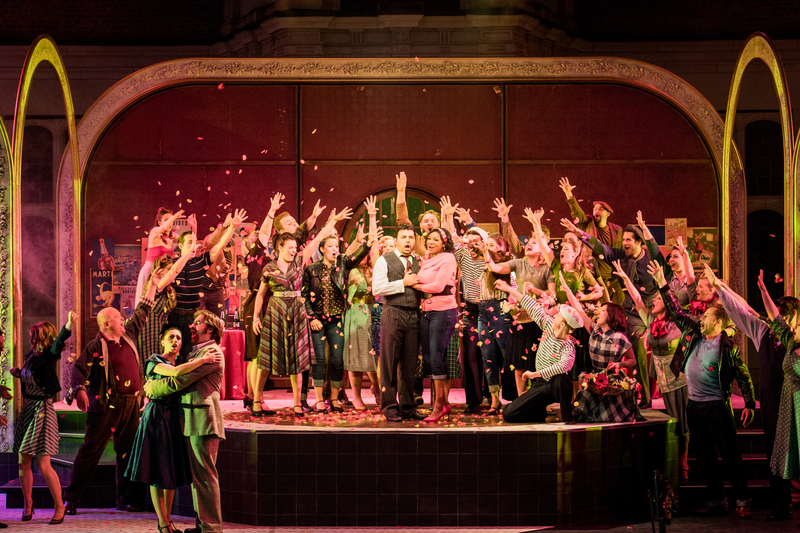 For tonight’s La rondine, the production was entrusted to Martin Lloyd-Evans, resident producer at the Guildhall School of Music and Drama. It used the stage in an intelligent way – moving from salon to boîte de nuit to autumnal hotel with an empty swimming pool fluently and unobtrusively. Costumes (takis) seemed redolent of the 1950s/60s though I’m still puzzled as to why the ladies in the salon wore their hats indoors. In many respects it felt like a show that was still in progress – personenregie in Acts 1 and 3 felt too wedded to stock operatic gestures, with characters who seemed more often to engage with the front than with each other. 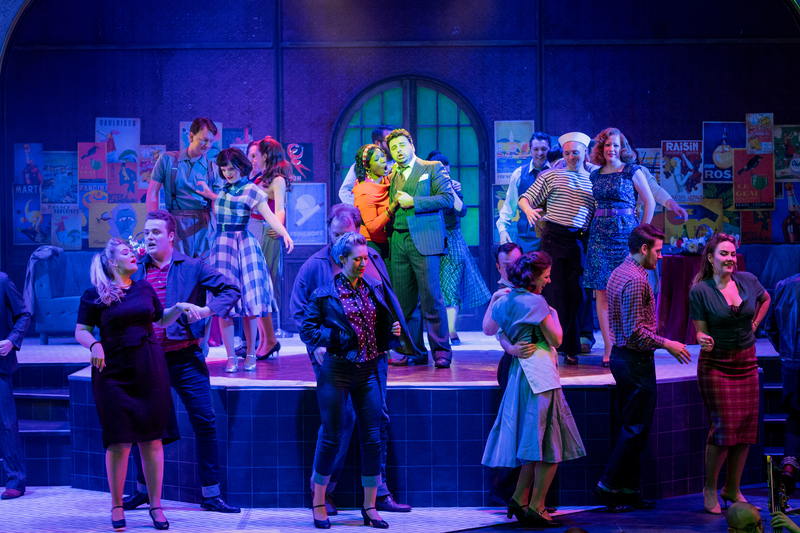 In Act 2 however, the show took wing with the ensemble scenes quite brilliantly choreographed by Steve Elias, the movement of those on stage perfectly matching the movement of the music. Suddenly, that coup de foudre of Magda and Ruggero’s burgeoning love and Magda’s desire to fly away from what life had brought her, vividly took wing. The feeling of the interpretation not quite being settled also came from the pit. Matthew Kofi Waldren’s conducting in Acts 1 and 3 felt somewhat saggy, tempi were leisurely and it felt to me that a fair bit of detail was lost – that nod to Salome for example made no impact. And yet in Act 2, the dance rhythms emerged irresistibly, he made some splendid use of rubato and the energy emerging from the pit was undeniable. The theatre’s house band, the City of London Sinfonia, played honourably – some of the string intonation in places went awry but Waldren certainly got an impressive depth of sound from such a modest string section. There were times where the band did drown out some of the cast however. After her magnificent Giorgetta and Angelica in Copenhagen two years ago, I was most eager to hear Elizabeth Llewellyn and yet again Llewellyn, now an ensemble member at the Theater Magdeburg, proved what a fabulous Puccini soprano she is. The voice is a good size with a smoky lower register, a velvety middle of complex depth and a top that opens up magnificently. There were some intonation issues at the top – she was frequently under the note – but I wonder how much of this was due to the difficulties of the tent acoustic. Her Magda was vulnerable, hopeful and determined just as she should be. 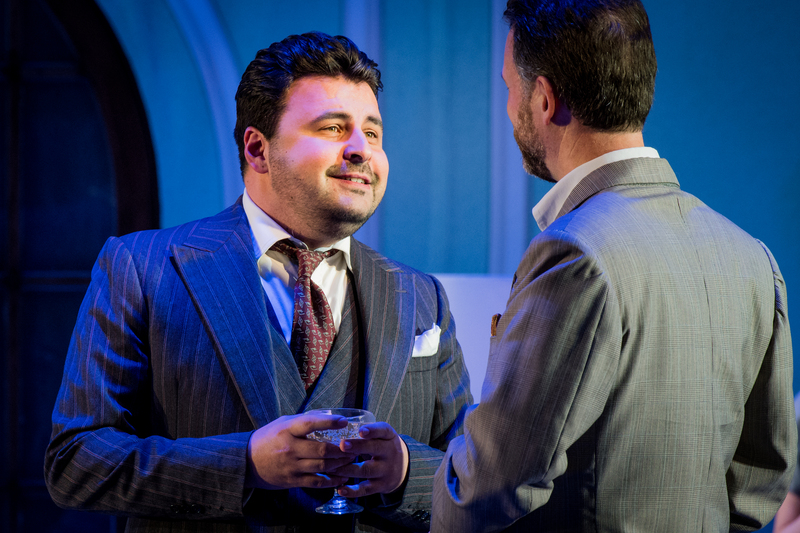 Matteo Lippi brought an elegant full lyric tenor to Ruggero. He has a good line and clear, liquid tone. The voice discolours a little on top but it’s an attractive instrument certainly. He sang his (oft-omitted) opening number ‘Parigi è una citta’ with long lines and the wonder of someone seeing the city for the first time. He launched his glorious ‘bevo al tuo fresco sorriso’ (at quite a swift tempo) with ardent warmth, matched with hearty, full-throated fervour from the youthful chorus. Stephen Aviss was a somewhat over-the-top camp Prunier, suggesting his relationship with Lisette was based more on a project than on love. He gave full attention to the words, the voice somewhat fuller than we usually hear in the role but here again there was some discolouration on top. Tereza Gevorgyan’s Lisette suffered most from the balance issues and was frequently inaudible from my seat. When I could hear her, she revealed a light soprano with an attractive fast vibrato on top although with some tightness. David Stephenson’s Rambaldo was gruff and efficient. We also had a mellifluous and well-blended trio of ladies who doubled as friends and grisettes. As so often with the first night of a run, it felt that things were not quite completely settled – indeed, in a way it felt that most rehearsal had been spent on that magnificent Act 2 which tonight really did work the magic it had to. We were given an intelligent staging that used the space well, some judicious casting, along with honourable orchestral playing and choral singing. What Opera Holland Park achieves on what appears to be a shoestring budget is quite notable. 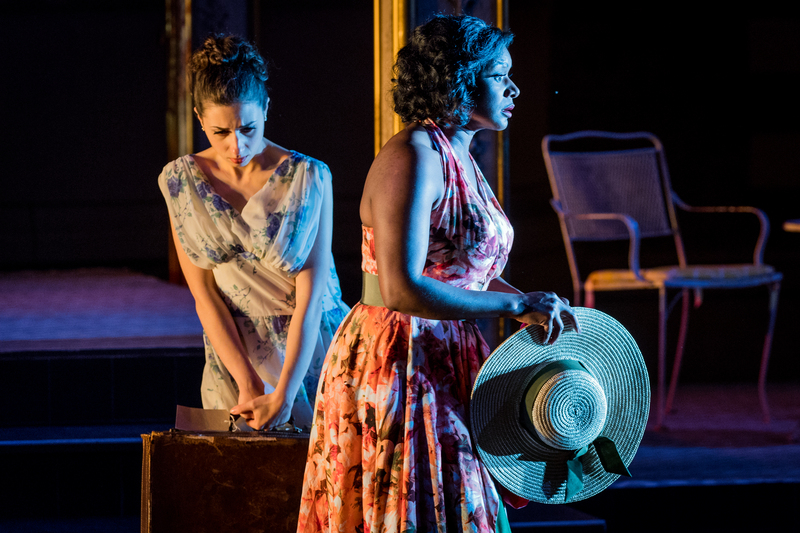 Certainly, this rondine is one that is true to the spirit of the work headed by a soprano who really does have much to offer. Tonight was given a very warm reception by an audience who were clearly won over by the call of first love. All this fuss. Its not as if HPO is world class like Wien, ROH, Met, Salzburg, Berlin, Dresden, Bayreuth. The Dirty Digger’s rags always get it wrong, the wonder is folk still buy it or sign up to their website. Opera Holland Park is a great place to enjoy opera. Thanks for sharing every detail about this place.